Elements Applied: The rootstock is applied in herbal medicine. Used For: The herb is known to induce urination, relieve rheumatic conditions, stimulate the system, treat diarrhea, and relax muscles. Gravel Root’s primary application consists in using it for kidney gravel or stones. It may also be applied in urinary tract conditions, like urethritis and cystitis. Additionally, the herb is beneficial as a regular aid for people suffering from gout and rheumatism. 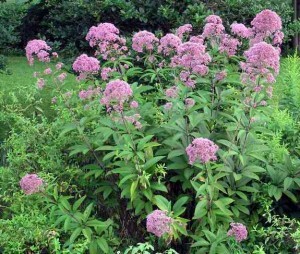 Commonly mixed with: To help eliminate kidney gravel and stones the herb is used in conjunction with Hydrangea, Pellitory of the Wall, Parsley Piert, or Stone Root. Additional Info: The herb is indigenous to the US. Preparation and Intake: To prepare a decoction, take a teaspoon of herb extract for 250 ml of water, boil it up and leave on low heat for ten minutes. The result is consumed thrice per day. In form of tincture the herb is applied at a dose of 1-2 ml thrice per day. Safety: There is no data concerning the plant’s safety level. It is possible that the plant interacts with the medicine you use. Speak to your health-care provider before taking the remedy.